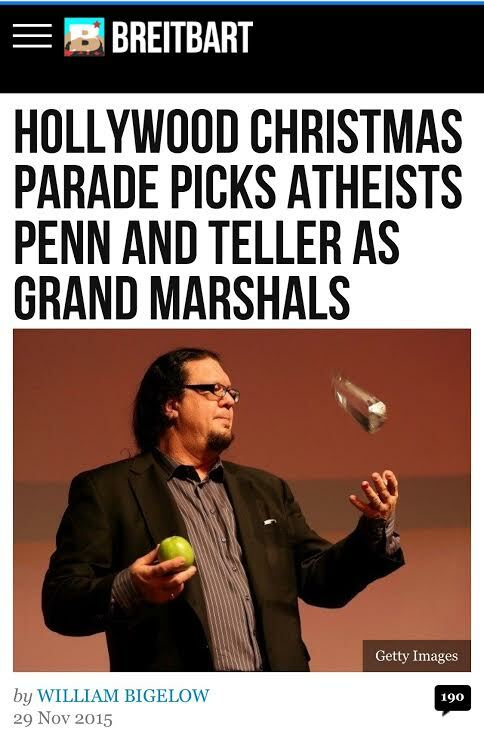 Why is this a big deal well, the idea of an atheist involved in a Christmas parade and mind you Christmas is short for Christ Mas just does not jive with me and anyone with a lick of sense of what both Christmas and atheism means shouldn’t either. Has Hollywood finally reached the point it just doesn’t care about anything or anyone’s idea of sacred and meaningful much less insulting our intellect. I guess looking at both Hollywood and Jillette, one would think someone with some sense and intelligence would question this decision. Gillette feels it’s just a holiday but I guess he fails to see holiday is just the modernized word for the Holy Day. I’m pretty sure few people will actually watch the Hollywood Christmas parade since its normally on some oddball TV network filling in times slot that nobody watches, but I have asked, should we just change the name to say the “December parade” so that way everyone knows the parade stands and means nothing just like Hollywood’s and Jillettes beliefs? Who loses here? Well, I see it as mainstream America loses because media feels there is no meaning in Christmas, much less the holiness of Christmas. It is a big deal that a belief in no God grand marshals a parade that is in honor of. It says a lot when a corner of the country that had little regard to the essence of what a country regards as good and right, and it says a lot about a society that won’t even know what is happening or even cares it has happened. Well it’s the end of the week but the beginning of a new year; I don’t really feel like its a new year it’s still cold outside. 2014 in my view was pretty horrific with Ebola, ISIS, border issues, atheist issues and gay agenda issues. 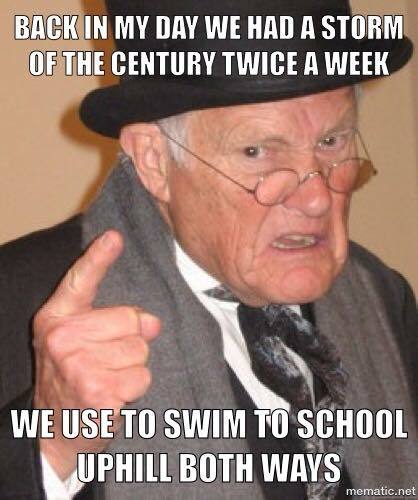 So many issues to shake a stick at so what one impacted you or did any. 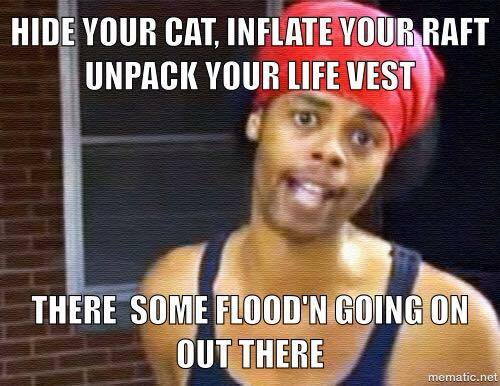 To me all these issues just made me mistrust our state and federal government that much more. You wonder how much misinformation is being thrown out at us just to either keep us quiet or in line. 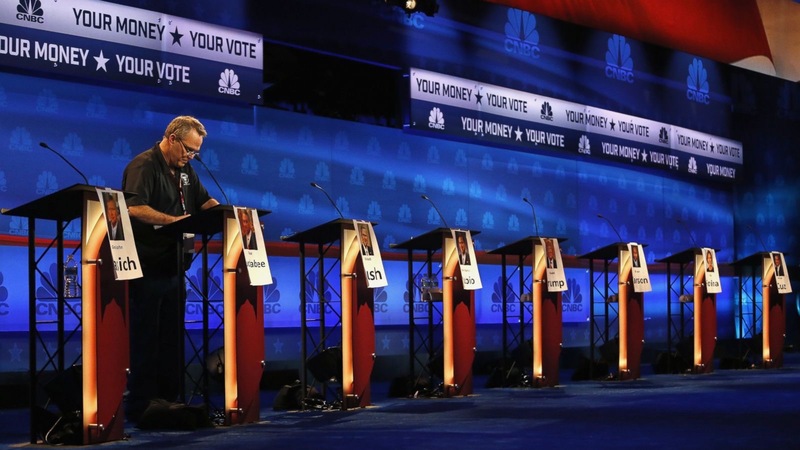 To me the two agendas that made the biggest impression were the ISIS and the gay propaganda agenda. ISIS is bad news but we could have should have stopped them years ago. The fact our president seems to delight in their existence does bother me greatly. ISIS seems to help Obama in a few ways; it makes him look good when we kill a some of them. But I believe Obama enjoys radical Islam because he is radical progressive and although the two differ on social issues they love each other on religious and political issues. The propaganda that the extreme homosexual agenda is setting out for society is also a big concern for me. I say extreme because there are some out there that just are lost and want to find peace and well and I dare say they are not gay but completely confused on what direction to take so they take the easy yet most painful way to deal with their hurt. The big reason why I am very concern and watching this issue closely is how it impacts our society. Television and mass media is bent on trying to cram this down your throat so you think it’s normal but please do not fall for this there is nothing normal about it. Homosexuality does nothing for a pro God, pro marriage, and pro family society. It is sterile concept that leads to nowhere in both the relationship and in the individual. What is more concerning is when pro gay heterosexual’s look at you as if you’re either stupid or mean for not allowing the gay concept to flourish. This kind of mentality will only confuse the follower of such a such an agenda and thus our society becomes more confused and more demented. As in my last blog I ask everyone to please make 2015 your year of prayer, take one minute out of your day and pray for America and pray for those who will be working to give truth back to America. 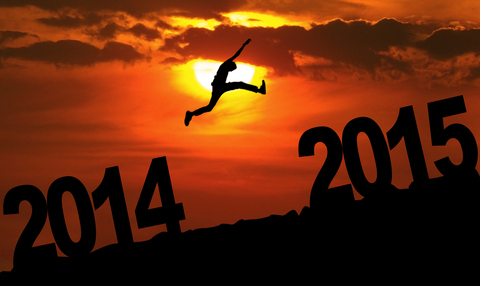 2015 is the beginning, so much time for us to impact our world. Whether it’s your home, work, church or family ask God to help you make an impact I know I will. AMERICA IS NOT THE GREATEST BUT COMPARED TO WHAT? AMERICA IS NOT THE GREATEST COUNTY BUT COMPARED TO WHAT? 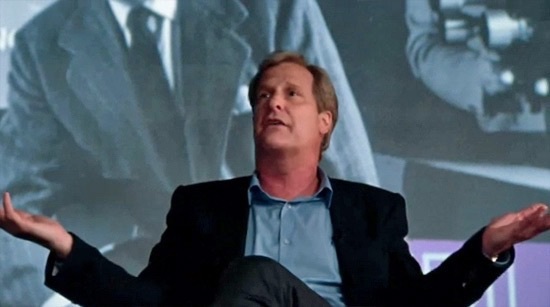 I think a lot of people have seen this clip from the HBO TV series “Newsroom”, when it came out it hit social media like a wildfire I must of saw it posted on Facebook at least 5 times each time getting a seal of approval from the average American. The thought was finally somebody in the media has made a stink on how our country has fallen, we are not the greatest country in the world but I ask compared to what are we not the greatest. I personally think America fell from grace in 1973 when the Supreme Court legalized the killing of unborn children and all the states in the Union just sat back and allowed it. The most defenseless of them all and now it’s open season to do what you want. But not everyone has turned their back on the unborn so I won’t speak in the terms of we because many of us don’t condone and do our best to refute this law. Now with that said I then ask in compared to what is America not so great. Mind you for all those of you that think this was just a wonderful rant on the truth of where this country has gone remember this. HBO Time Warner is a very liberal progressive company that is very anti family, anti conservative and anti Christian. Remember HBO is the media outlet that gives Bill Maher his speaking platform to spread all his hateful lies so are you still glad HBO gave you a small little piece of happiness with this rant from the “Newsroom”. Now mind you I’m not tearing into Jeff Denials he’s just an actor this is all Time Warner and Aaron Sorkin are the ones trying to fool people into thinking they know and understand Americans, well they don’t. Denials character “Will” rants that freedom is enjoyed by lots of countries and yes in nature the concept of freedom is enjoyed but have you ever been to those counties. Most have a tax system that would blow your mind; the average tax rate in those countries is 60% while Americans enjoy an average 18%. Tax rate but I guess if you’re a progressive everyone is just a selfish to want to keep your own money. “Will” goes on to spout about the high mortality rate of children in America. The infant mortality rate in the rant is backwards, yes we are 173 but that’s the number from worst to best worst being number 1 in which Afghanistan is the leader. Also doctors in other countries look at premature birth deaths as medical waist, child death is not counted but overlooked because if a child is dies at birth or not in full term it does not count not so in America we count every statistic. Next we get the whine about what America use to be and what it stood for, well in the 1950’s America was recovering from a depression and a world war. In the 50’s Americans finally got to reach what was known as the American dream of owning their own home about 50% owned a home. 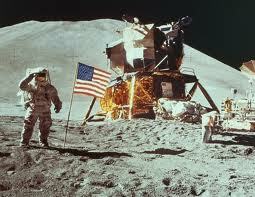 In the 1960’s America began the journey to explore space and put a man on the moon. In the process it put a strain on communist relations and started the economic destruction of the Soviet Union. In the 70’s America lost its battle to being the country of right when the Supreme Court allowed abortion but this did not mean the People that lived in America has lost grace completely this now meant we knew where to draw a battle line. In the 1980’s we put the noose on the Soviet Union and by the 1990’s a defeated evil empire. In the 90’s we developed a mass communication for the world with the internet and in the millennium America was punched in the gut September 11 2001 but we rebounded and helped protect not only our country but those of the free world from terrorism and radical Islam. Yes right now we are going through a rough patch but this is where Sorkin and HBO lack the intelligence of understanding the American. Denials character “Will” references to America by what is seen by mass media and not what is done by the individual. “Will” rambles on saying “we built great things”, ever heard of the freedom towers, the internet is faster and more powerful than when it was invented, the Iphone has more power than lunar space capsules did in the 1960’s. We found a cure for Ebola when we needed it the most. Groups like Samaritan’s Purse are feeding the hungry and caring for the sick worldwide and its individuals that help Groups like Samaritan Purse to succeed. You see HBO and Sorkin has “Will” only seeing the country and not seeing the content of the country. They don’t see the individual and the daily sacrifices he and she go through. They don’t see the charity and triumphs the individual makes in his and hers life they only see what is reported and have no concept of what the American is and does. No America is not the greatest nation it once was but I ask you what are the greatest nations, the 180 that have freedom, China, Cuba are they the greatest. What country does not strive to be like America and what country is beating people down at their borders, Spain, Holland what country Aaron Sorkin and HBO? I was listening to the Glen Beck show a few nights ago and Glen was talking about when he had called an evangelical pastor to interview for his TV show The Blaze. Now mind you I am a fan of Mr. Beck, I think he falls in the top 3 to 4 for best political conservative commentator out there and one of the smartest conservative political minds right now. With that said Beck knows nothing about religion and further more his combined social religious understanding is more like an impulsive person having his attention dragged from one idea to another. Mr. Beck went on to say he called the pastor to talk about becoming a guest on the TV show and the pastor wanted to make it known that he and Mr. Becks religious views are different and he wanted to make that clear in the interview. Beck said that made him feel ill and continued to tell us the audience of the radio program that “all I wanted to say to that pastor was “are you that small to have to say that”. Why can’t we be united in love” I’m paraphrasing the united part because I listened to it December 10th and I am not a member of the Blaze radio so I have no audio to get the exact quote. What Beck fails to realize is Christians that believe in The God of the Bible cannot compromise in their faith, not for a TV show not for anything we are different. Now don’t believe for one minute that I think Mr. Beck was chastising this pastor or don’t believe I think Mr. Beck was being a lovey dovy hippie with his remarks. What Mr. Beck feels and thinks is that conservatives that have common ground need to unite and that I agree. What Mr. Beck does not understand is that Christianity has one way John 3:16 and we cannot change or differ in that way. Yes we do have common ground with many groups and religions but our faith and the way salvation is obtained is only one way. Now you might be thinking what evangelical pastor was Glen Beck talking about and to be honest I do not know. I do have speculations since there was only one well known evangelical pastor that the Blaze interviewed in November but again it’s only speculation on my part. With that said in November Evangelical pastor Ravi Zacharias was interviewed on the Blaze. Before the interview Zacharias did have ” statement “or more of a pray request before he went on The Blaze. After the interview Beck stated “Yes we do have differences but Ravi and I agree that the Lord Jesus Christ is the Savior of the world”. There has been a push by Pope Francis to unite other religions to help stop the poor and feed the hungry and again we cannot compromise on our faith. Mark 14:7 Jesus is trying to make a point for the disciples to take advantage of Jesus being with them here and now but his statement is just more than that it is the truth we will always have the poor, sick and hungry this will never change and to compromise on our faith and water it down to unite with other religions is a big mistake Revelation 3:16. Common ground is important, if we want to define our way of life here in America all of us have to know and understand our common ground. 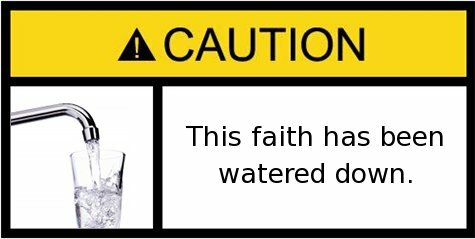 I cannot expect the LDS to water down their faith and compromise nor the Muslim and do not expect me the Christian to do the same. We have common ground to be free and to worship God but Christians cannot compromise on the word of God and Jesus and we cannot compromise our way to salvation. End of the week again halfway through December and almost the end of the year. As I type this we here in Nor Cal and Northern Nevada are supposed to be in the mist of what is dubbed the storm of the century and outside my window it’s just cloudy with maybe a promise of more rain to come. Even more reason why I beg people to not put your trust of weather and climate from man it will always bite you, sometimes hard sometimes just a nip but it will always bite you. In the news Jonathan Gruber the smartest man in MIT that helped build the ACA (Obama Care) and calling the average American stupid faced some payback justice with a hearing on Capitol Hill. What is even more disturbing is that Gruber is now on record as saying that abortion is a “social good” due to the claim that it reduces the number of “marginal children” what is the definition of marginal children well think, the progressive ideology is saying poor people don’t count and they need abortion to keep more poor children from being introduced into our society that cost us and our government more dollars, kind of sad that one would view a life based on reducing its cost instead of life as a miracle and joyous that should be saved and protect at all cost. Our smartest woman in California Dianne Feinstein put most everyone and all of our foreign dignitaries and military men and women at risk when she released the senate CIA report a few days ago. The report just stated what we all knew with regards to torture being done to capture war criminals in regards to our September 11th 2001 attack in New York City. America did what it needed to do, if anything we should have done more. Bush failed us in the fact he did not allow Americans to invest themselves more into the 911 attacks like America did after the Pearl Harbor attack of 1941. I believe because of this a division was allowed to happen and Americans quickly forgot why we invaded Iraq and Afghanistan. Some 13 years later some view this invasion a mistake and I believe if Bush had made this more of a personal attack on each American and his and hers Freedom we would have a different view and maybe had a less decisive government that seems to attack our freedom for power. This week I published two blogs first one entitled I BLAME YOU MR. FARRAKHAN, MR. SHARPTON AND MR. JACKSON; I blame the deaths of Travon Martin, Eric Garner and Michael Brown on the lack of leadership that Louis Farrakhan, Al Sharpton and Jesse Jackson have brought to the American Black community. Second blog WE WOULD MISS YOU is based off a post that a FB friends posted. Something that is real in the hearts of certain people but is rarely looked at from their point of view and I felt it needed to be said so those who suffer with anxiety, depression, and loneliness would know there are people out there that do care. Movie to see this Christmas month is a good one called “It happened on 5th Avenue” The Christmas movies should start churning out about now and this is a good one. 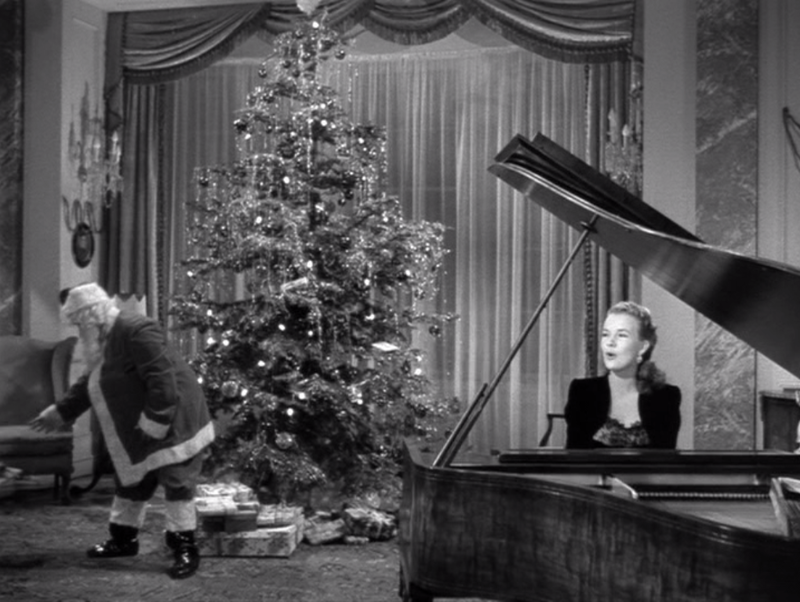 Very much like “It’s a wonderful life” as a matter of fact Frank Capra was offered the movie and turned it down. It starts off a bit slow but stick with it because the middle half to the end it really gets going and although it’s a bit 1947 corny at times it drives home some real good points about love, greed and the pursue of freedom. Not a bad week this week gave me and I hope you were dealt the same. I’ll be heading into the new week working a bit then off to deliver some gifts to the family and hopefully enjoying the movie Gods and Kings. I know it will be Biblically unsound but with Bale as Moses it should be at least entertaining and that my friend is the lowdown of the week. I’m a big history buff especially war history that is but I enjoy history in general. American history, war history, western history I love it so when the History channel came about I was enthused to say the least. So a little history of the History channel, from the conception the History channel was great, it had great war history and good American history. I guess the folks in charged felt a narrator was not enough so maybe try some shows that had actors or reenactments. The channel was doing well enough so a new History channel was conserved called the History channel 2 or H2 and it was designed to house the world history programming while the History channel was to deal with American history in general. I guess it was inevitable but here came the reality shows with a big success for the History channel was Pawn Stars and it still is a big winner today. Ice Road Truckers, Axe Men and the numerous spin offs of Pawn Stars the once informative History channel became a den of reality programming with a few historical programs like modern marvels thrown in the mid mornings and mid afternoons the time when no one watches TV because we are at work; the history channel became “the watch my cool job channel”. Seriously I lived in a logging town and logging companies do not compete against each other like AX men , no one cares they just want trees for money. Of course since H2 had less of a following it too needed to invest into scripted reality but unlike the History channel H2 became a propaganda channel of junk science and revisionist history. Now why would I make that statement well just look at the programming that H2 offers. 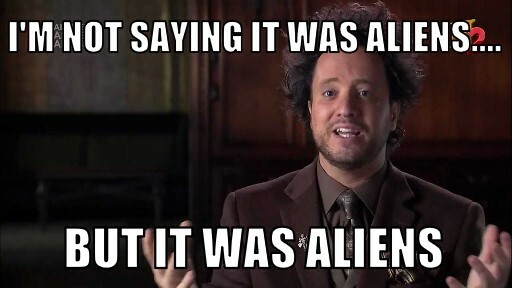 Ancient Aliens: The biggest offender it would be one thing if the program was about UFOlogy but it’s not. It takes everything that cannot not explained by science and even things that can be and chalks it up to it all can be explained by Aliens because god forbid that maybe there is a God that created something. America Unearthed: Here Scott Wolter a “forensic geologist” whatever that is tries to rewrite history. Even when all the evidence points to one conclusion if it was not Scott’s conclusion then it maybe history is wrong. Basically Scott is trying to rewrite history even though evidence and facts won’t support his theories. These are the biggest offenders that try and spread their propaganda to the viewers. No longer are we to look at the common man and his common sense, now we must rely on experts like Scott Wolter try and convince us that Davy Crockett did not die at the Alamo. We cannot expect to think maybe there is an intelligent design because only Aliens could have this kind of technology but of course we never answer the big question where did the aliens come from and where did they get the technology thanks for clearing up those waters for us Giorgio. If science has not thought of it then it cannot exist or it could not happen or be created by something other than man or chance. What once was a good educational network has now turned into a dumb downed scripted reality based propaganda programming. They don’t want us to use common sense or thought of another way or idea just believe them because they are the experts or so says their certificate of authenticity. H2 is now a network of junk science and history that can be revised if it gets ratings and that is completely sad.